Do you need some Easter bonnet ideas and hat inspiration for your kids Easter Parade? I’ve got a huge collection of ways to decorate Easter hats for both boys and girls of all ages, not just traditional ones. Easter is now only just 4 weeks away, with Easter Sunday being 21st April. Easter hat parades are a traditional part of Easter celebrations at many primary schools. No Easter celebration would be complete without the Easter bonnet! 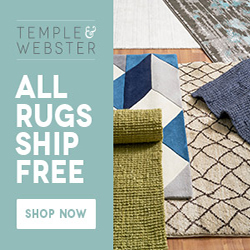 It can be hard to come up with something new year after year – but don’t worry, I can help! 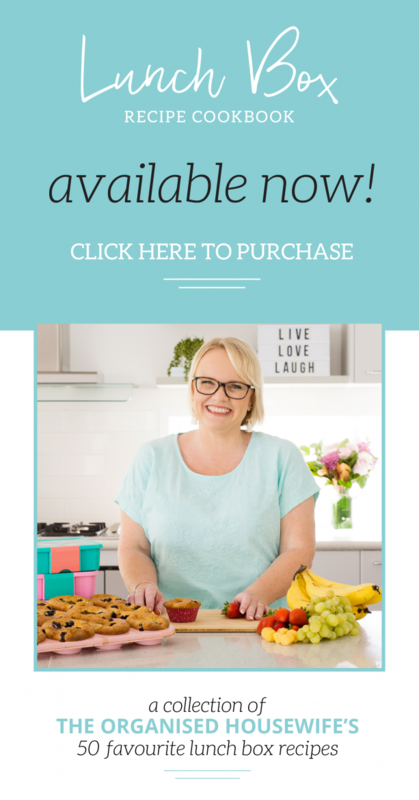 Over the years I have been putting together collections of Easter Bonnet Ideas to help inspire you, so I have quite a few for you to look through. 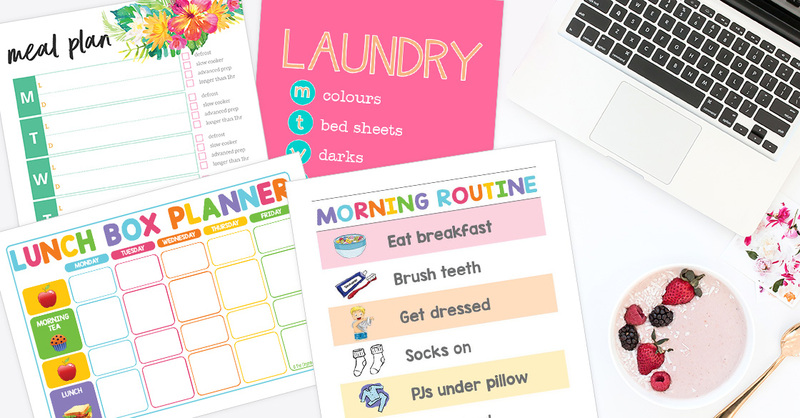 Even though Easter is 4 weeks away, your school maybe holding their Easter parade before school holidays start so it’s good to start planning now so that you can pick up supplies from the local cheap shop or Spotlight when you’re out and about next. Then you can start getting creative with your little one over the next few weekends, rather than rushing the night before the parade. 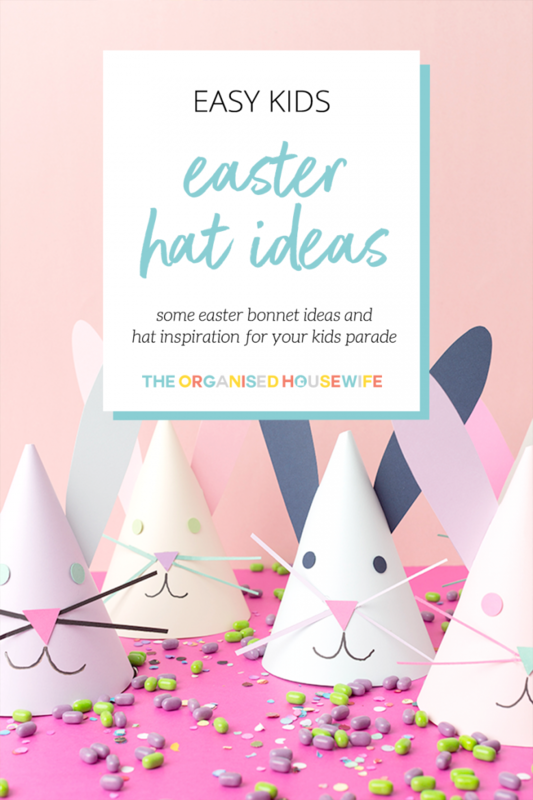 Here is a selection of some of my favourite Easter Hat ideas, it makes me sad that my kids have all passed this stage as I used to really enjoy helping them make their Easter bonnets. 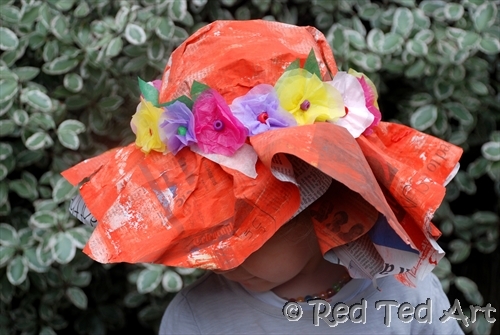 Newspaper Easter Bonnet – Made from newspaper, these easy Easter bonnets are adorable and a great art project to do with the kids! See the tutorial at RedTedArt. 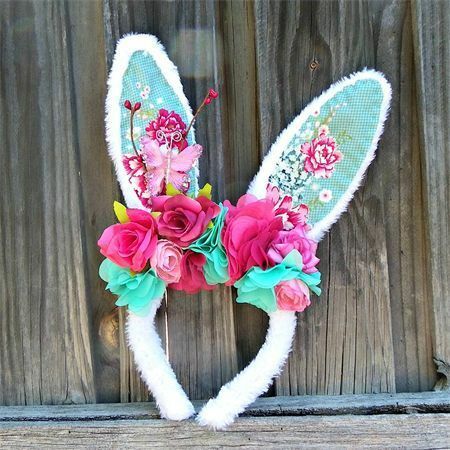 Sweet Bunny Ears – These up-cycled bunny ears are absolutely gorgeous! You could easily make these by simply grabbing a fake flower crown from Kmart or a cheap store and adding it to a bunny ear headband! original image credit unknown. Last Minute Easter Hat – This little hat is so adorable and could even be a simple hat for the kids to make themselves. See the tutorial at Be A Fun Mum. Easy Easter Bonnet – this little easter bonnet is gorgeous, but is so simple to make! All you need to do is find a hat and sticking easter decorations. 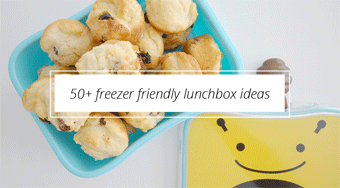 I’m sure your little ones would have a blast making this! Image via Poundland. 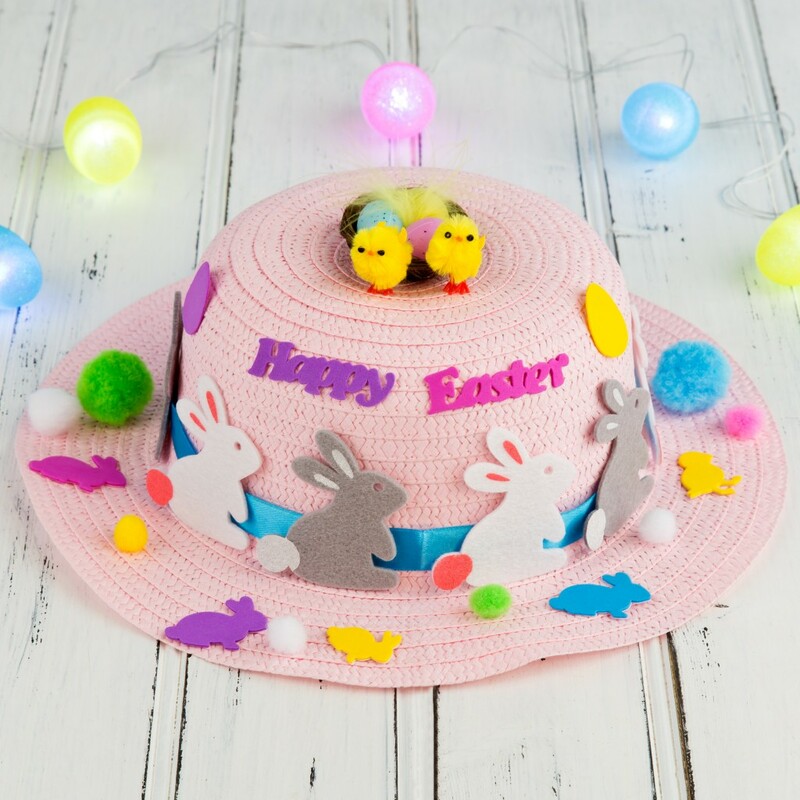 Spring Easter Bonnet – Some children might not enjoy the glitz and glamour of Easter hats and just want something simple and comfy. 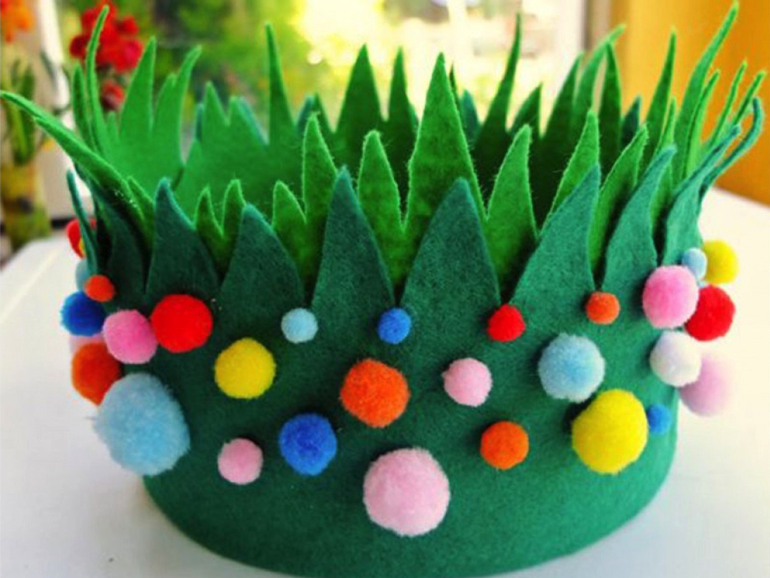 This felt Spring Easter bonnet would be a great option and is a lot simpler than it looks! 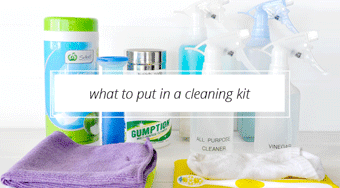 See the tutorial at NetMums. 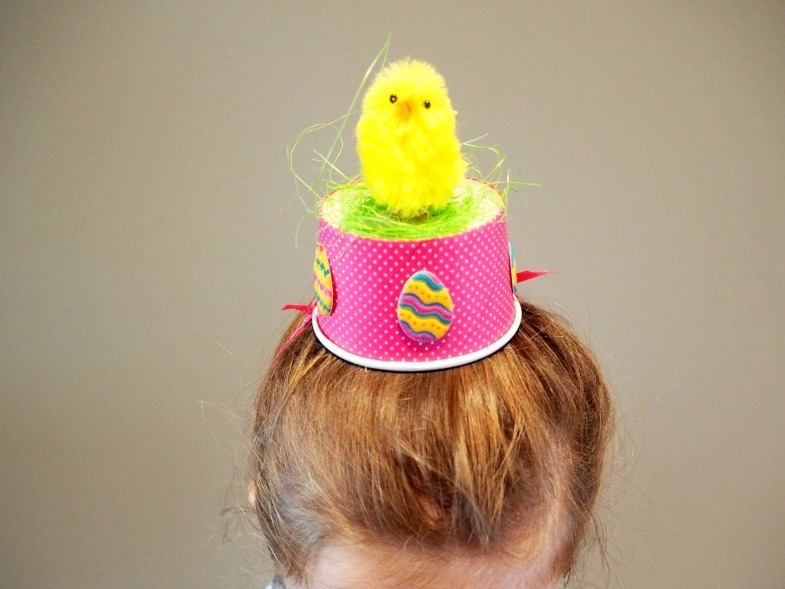 Easter Egg Party Hat – This Easter hat just screams “party”! 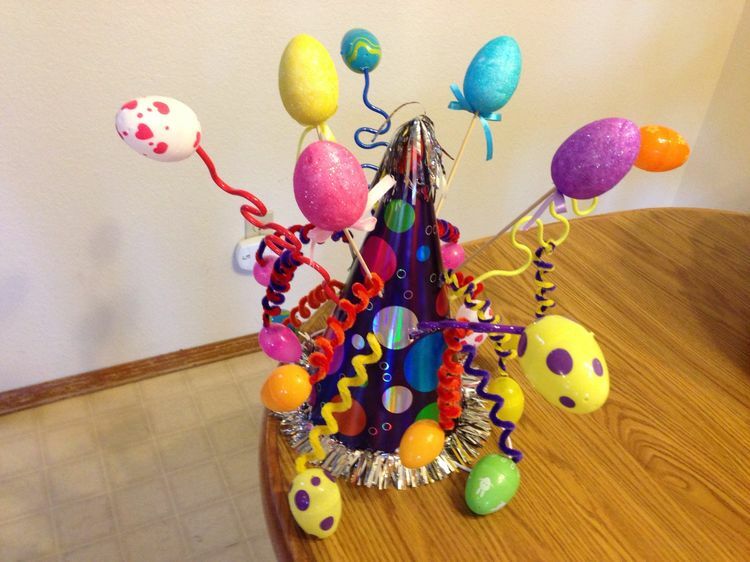 All you need is a party hat, some pipe cleaners, styrofoam eggs and piece of tinsel. Simple! 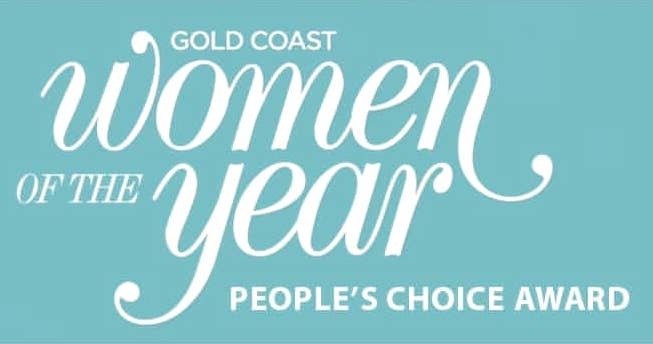 Image via Kids on the coast. 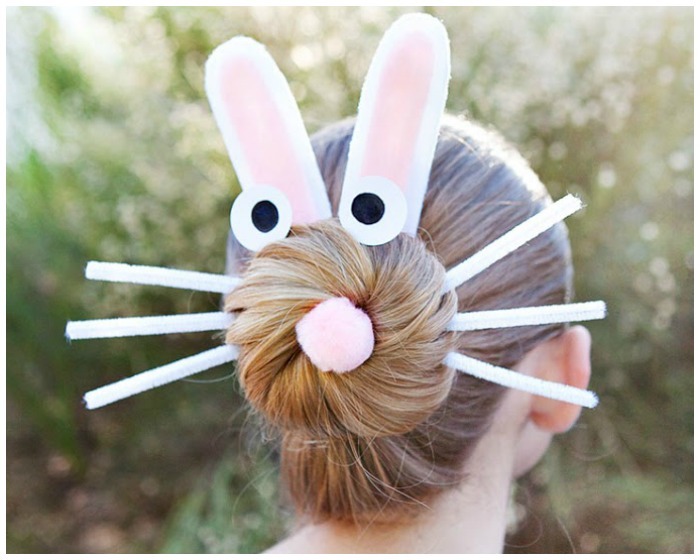 Funny Bunny Easter Hairdo – This Easter hairdo is a great option for kids who don’t like to wear hats or don’t keep them on. Dress up their hair using pipe cleaners, a cotton ball and googly eyes to get this great creation! 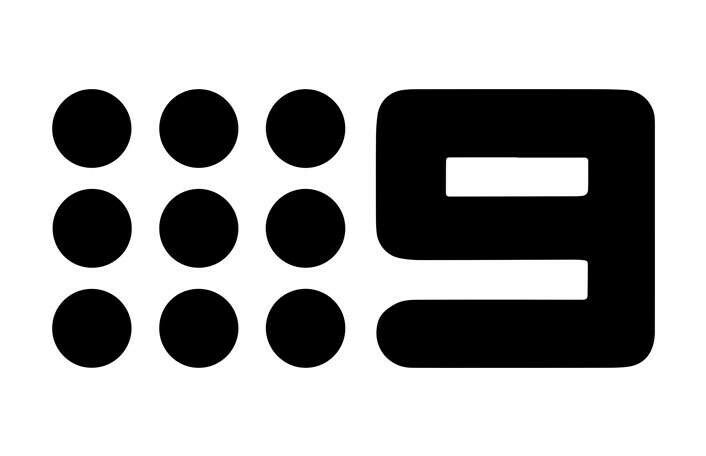 Image via Simple As That. 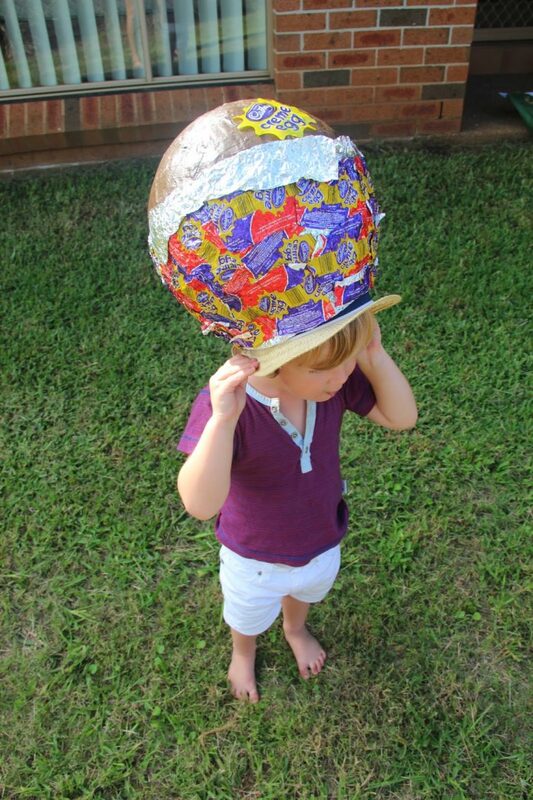 Creme Egg Hat – This one made me LOL! Creme Eggs are an easter staple and are obviously loved by this family! 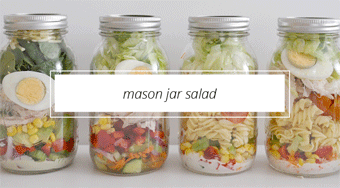 See the tutorial at HomeLearningFromBirth. Over the years I have put together a collection like the above of easter hat ideas. 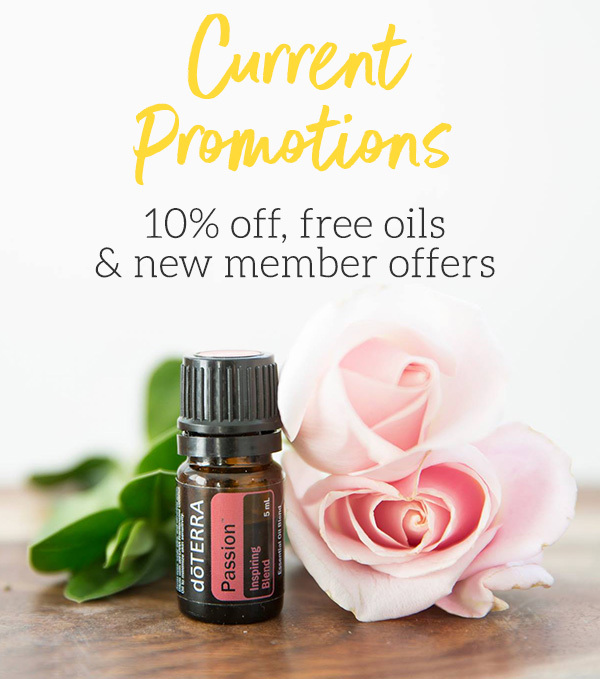 Click on each of the links below and it will take you to lots more ideas that I have shared over the years. What’s your easy Easter hat hack? 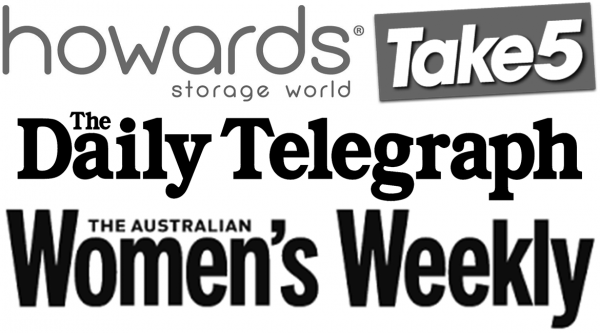 Please feel free to share your images on Facebook or email them to me at hello@theorganisedhousewife.com.au – I would love to see them!